And the softest, fluffiest pillow possible. 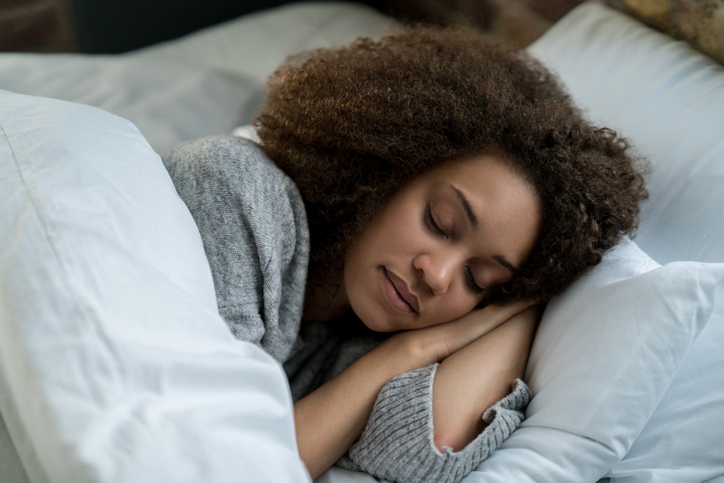 The bed itself might look like it’s right out of the pages of a magazine, but that fluffy pillow may be the reason for your neck pain. When it comes to bed pillows, the truth is that luxurious doesn’t always mean better. Let’s have some pillow talk and discuss everything you need to know about pillows – so your sweet slumbers don’t become a pain in the neck. Why Should I Use a Pillow? First, why use a pillow at all? Is it just a tradition that no one questions anymore? Actually, recent sleep studies have proven that pillows indeed do more than just prop up your head. A properly appointed pillow will help keep your neck and head in the correct position while you sleep. By aligning your neck and head and keeping your head slightly elevated, you can reduce or eliminate snoring. This posture will also help keep your sinuses drained while you breathe normally, so you don’t wake up in the morning with a stuffy nose. Is a Firm Pillow Better than a Soft Pillow? Now, in choosing a pillow – whether firm or soft – the first thing to consider is the kind of sleeper you are. Once you identify your primary sleep position, you can choose which type of pillow is best for you. For the 70 percent of us who sleep on our sides, firm pillows work best to ensure proper neck and head alignment. The pillow should be no more than 4 inches from the mattress and have foam or latex filling to keep its shape. You don’t want a down pillow, because it will sink too far down. You’ll notice that the higher pillow will help you wake up without feeling stuffy or feeling like you can’t breathe very well. If you snore or have been diagnosed with sleep apnea, chances are you are a back sleeper. When you sleep, gravity pulls back your tongue, blocking your airways and making it hard to draw in air. If you sleep on your back, it’s best to use a firm pillow that allows you to rest at an angle. Consider trying a body wedge or a few propped-up pillows. If you sleep on your stomach, it’s best to find a soft pillow – consider either a down pillow or a pillow with loose fiber fill. This will help keep your head closer to the mattress and maintain your natural alignment. If your sleep patterns resemble a pinwheel, it’s best to seek a pillow that can accommodate back, stomach, and side sleep. Look for a pillow that can be bunched up or flattened, so it will work however you sleep. If you are waking up with neck pain or back pain, it may be because you’re sleeping on the wrong type of pillow. If a new pillow or mattress isn’t helping your pain go away, it may be time to seek out medical help. Spectrum Orthopaedics of North Canton offers a full range of orthopedic care, including treatment for neck and back injuries and pain. To schedule an appointment, call our North Canton office at (330) 305-0838 or toll-free at (844) 469-2663. You can also use our online appointment request form. You will sleep better for it!